Back a few months ago I did a blog post about the Sierra HPBT GameKings and how effective they are as a game bullet. Now I have another secret for you from Sierra for all of you guys that enjoy hunting with a handgun. It is the jacketed hollow cavity (JHC) line we have. This JHC style is available in .357, .41, .44 and .45 caliber. I first got interested in this style of bullet back about forty years ago. I had learned that red clay banks were excellent for testing bullets for both expansion and penetration. About two or three days after a rain, this red clay would have the consistency about like modeling clay. I have a Colt python that I was testing that bullet with and I learned that they would give excellent penetration and expansion from as close as twenty yards to as far back as 100 yds. It didn’t seem to matter, I would always get a perfect mushroom. Like a kid that couldn’t wait to get the prize from a box of cracker jacks, I just kept shooting them into clay banks just to dig out that perfect mushroomed bullet. One thing I learned was that 85% weight retention was common. 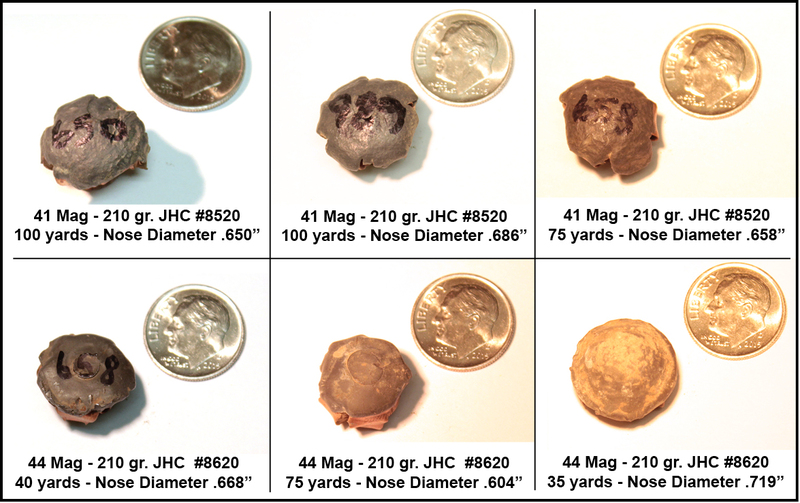 Expansion in the .357 would often times give a nose diameter of half an inch or bigger at 50 yds. and naturally less at longer ranges where velocities had dropped off considerably. In later years I started hunting deer with these bullet styles in mostly .41, .44 and .45 caliber. In this situation .45 caliber was the .45 Colt caliber rather than the ACP. It was common to get expansion, penetration and quick kills. I found that this bullet had excellent energy transfer. I’ve shot 1.5″ groups with them at 50 yds. so accuracy is all you could want it to be. 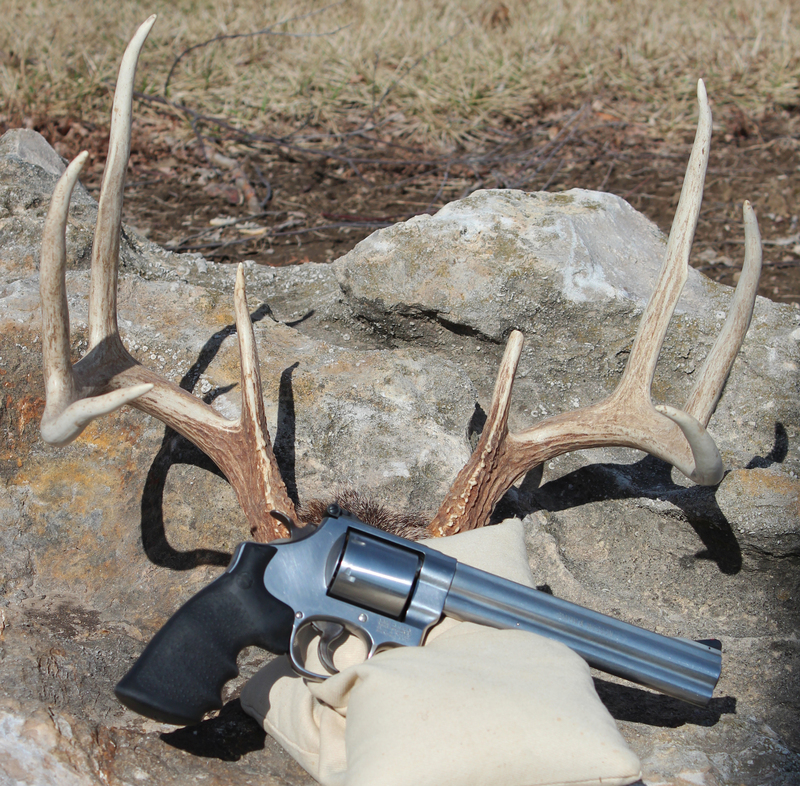 My best buck was taken with the .41 mag caliber with Sierra’s 210 gr. JHC. I had to take a bad angle shot putting the bullet just behind the short rib on his right side. Penetration was up to the left shoulder. This was from about 70yds. If you’ve never tried any of these bullets, you are in for a pleasant surprise. You won’t be disappointed. I think you will agree this is another one of Sierra’s best kept secrets. This entry was posted in Reloading and tagged .357, .41, .41 mag caliber, .44, .45 caliber, GameKings, handgun bullets, Jacket Hollow Cavity. Bookmark the permalink.